In early September, after a few years living/working in Boston, my wife and I made the decision to move to Portland, Maine. For us, we both grew up in Maine, so it was a chance to get back to the “motherland.” For the most part, we enjoyed our time down in Boston, found great opportunities, and met awesome people. But it was time to go home. I’ve found myself explaining my decision to numerous people, so I decided it was probably worth a blog post with a further explanation. p.s. 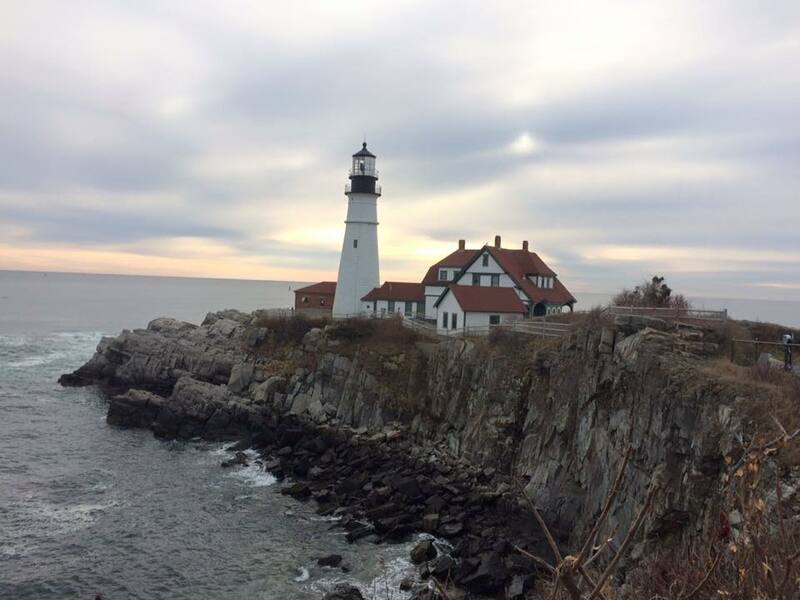 - If you're looking to move to Maine, I'm working on creating some guides to help on my new website, Mainer. 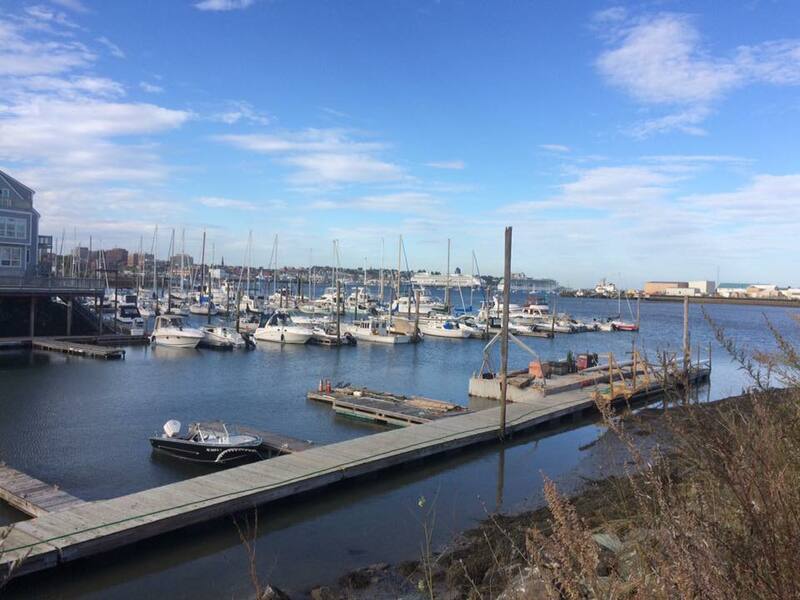 Update: Here's a guide to moving to Portland, Maine. The biggest detractor for moving to another location is almost always the career-choices that need to be made to accommodate the situation. Especially moving away from a city like Boston, you tend to make career sacrifices. Not this time. Enter working from home. As someone who grew up homeschooled, I was bred to do things from home, so it’s not a huge shock. Ali continues to work for Care.com, and I work for Crystal. Nothing changed. Most jobs I’ve worked have the option to work remotely. I expect this trend to continue, especially if you’re known to produce quality work. My decision to move to Portland is also a bet that my career can continue to progress outside a tech epicenter. We’ll see what happens. There’s a certain level of excitement when you live in a tech epicenter like Boston. It’s great because you’re around people who continue to strive to create value. It’s an up-leveling process. On the other hand, the level of utter nonsense in the tech community is astounding. The hype train is in full cycle, and instead of being heads-down building something valuable, many people in tech are more concerned about how they (or their startup) looks. This environment rewards wasteful activities. It’s like a big house of cards waiting to fall. Very few people in tech have seen success, but everyone wants to pretend like they are one of the chosen few. It doesn’t matter if your company was bought in a fire-sale, all the matters is that you were “acquired”. I want no part of this. Portland has been humbling. Lawyers/Doctors are the upper echelon of the community, and no one has heard of Crystal. Many people don’t try the latest technology or check Product Hunt everyday. They use tech if it’s valuable. They aren’t constantly testing apps for fun. If someone saw me working at a coffee shop, they may think I was homeless (probably my fault). I’m definitely not working in their eyes. I love that for some reason. If they expect the worst, you can only impress them. This environment brings a lot of clarity. How do I explain Crystal to a normal person? Are they interested in what we’re building? Is it something they would use in the future? It’s very easy to see what technology is valuable to the mass market up here. Case and point: An 80-year-old lady at the condo association meeting called Nextdoor, “a local blog”. I find Portland to be a counterbalance to what most of people in tech spend most of their time thinking about. This diversity of thought has been refreshing. I’ve grown to really like Portland. It’s a cool city, known for a ton of restaurants & epic beer. There’s no shortage of things to do, and I can get out in the middle of nowhere in 15 minutes and hike/canoe/etc. It’s the best of both worlds (city/country), and I’m not missing anything. There’s plenty of coffee shops to work from, so that’s always good. And this is a couple miles away. My mortgage on a 2 bedroom condo on the ocean is $200/mo cheaper than what I was paying for a 1 bedroom in Somerville. If I wanted to purchase a similar condo in Somerville, it would have been 3x the price. This monthly savings (amongst other things) allows us to pursue other opportunities. Maine has never been a leader in tech. Lobsters, yes. Big tech companies? Not really. With that being said, there’s some activity up here. Enough to give me hope that things will change in the future. So I want to help it grow. As someone who grew up here, if I can’t come home, what makes me think that someone else will move here? I remember what it was like to be a 16 year-old kid desperately trying to learn web design, and meet other people who could help. It was tough to find people. I was constantly shut down when working on projects in high school. I don’t want that to happen to other young people here trying to build stuff. I want to help. Just because I moved doesn’t mean I won’t go to Boston and meet up with friends. Within 2 hours, I can take a bus/train and be downtown with ease. Crystal is based in Nashville, so I’ll fly down about 1x/quarter. The flight might be an extra 30 minutes compared to Boston. The biggest downside to living here has been the lack of youth. Portland is probably the youngest city in Maine, but Maine is an old-people state. I’m fine with that, but I’d certainly like to quickly grab coffee with another younger person. Hopefully this changes with time. Update: I've started a resource for remote teams. Check it out!